Family Tree Builder is a great, free, and original program for amateur and professional genealogy fans. 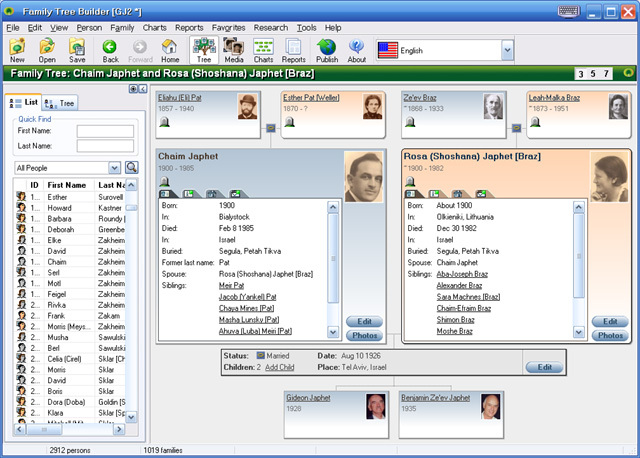 Packing the most innovative features developed for genealogy in the past decade, such as Face Recognition Technology, Visual Data Entry, Immersive 3D Trees, and Online Family Tree Publishing, it is highly intuitive and a pleasure to use. Create your family tree easily or import GEDCOM, print great charts and reports This is a must for budding and serious genealogy fans alike.